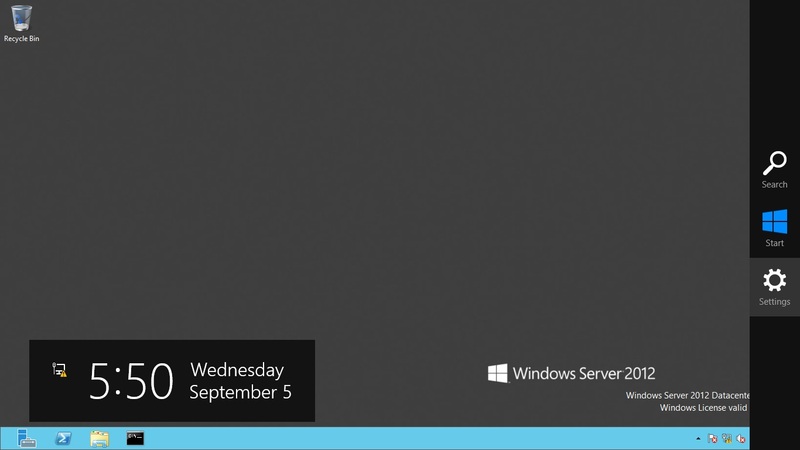 Previous Article Windows Server 2012 Core – Graphical Shell. or you can do ALT + F4 for faster way to disconnect/log off or reboot. That’s the best answer by far, I HATE those “swipe” menu on the edge of the screen, especially in a remote desktop environment where you have to be at the near pixel to make it pop… Alt + F4 for the win! I purely love that user experience is reduced to private knowledge of secret keystrokes. Alt F4 – wonderful. A whole streetfull of idiots, monsters and devils couldn’t have thought up anything better., We are all rightly proud to learn and know these secrets. They empower us. Hil-arious! Really Microsoft? I didn’t waste my time looking. That is what Google is for. Thank you for being far more dedicated than I. I think ALT F4 will be my friend. Thanks for the screenshots – really helpful — why is it Google is so much smarter than Windows???? Another secret. Microsoft is wonderful. Secrets abound. Metro takes the essence of ‘successive revelations’ to a whole new plateau by removing all first, second and third order hints. Just like walking in deep forest when blind. Gotta love them. Thanks! It was annoying me. A million times 20 minutes is a lot of wasted manhours. Why do corporations not scream at the top of their lungs to Microsoft that moving the furniture around all the time is counterproductive. Admittedly I only wasted 4 minutes, but 4 minutes times a million users is still a lot of wasted manhours. Lol… What’s really funny is that it takes a Google Search to figure out how to do something like logoff… And Microsoft wonders why Windows 8/2012 isn’t selling well. Hmm..
Microsoft is completely out of touch with their customer base. People like me need to be able to do the simple tasks quickly and easily. Seriously Microsoft, you had to make a simple task such as logging off a server so obscure that I had to Google it? Are you trying to go out of business?!?!? 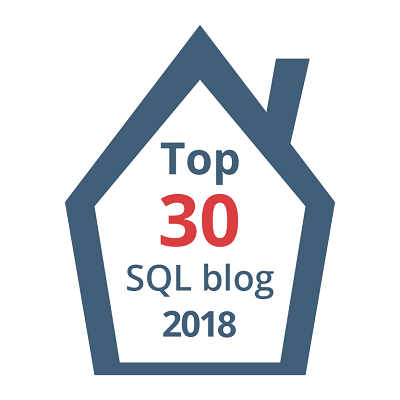 You did the same thing to DTS, taking an easy-to-use product and replacing with with SSIS, which requires hours to figure out how to dump data from a table to a text file. Yep. A smart company would have left the start bar in place, and while hovering over the logoff button have a popup that says. PS- logoff. HotKey Alt-F4, and then guess what, everyone would start learning the shortcuts and powershell commands. Great post, thanks for sharing. Microsoft’s counter intuitive interface design is inexcusable in this day in age. But no one is screaming because Microsoft never, ever listen and TBH, once you get over the rearranged furniture The OS does work. Thanks so much. I was feeling like a complete idiot, not being able to signout, and having to disconnect my session instead. 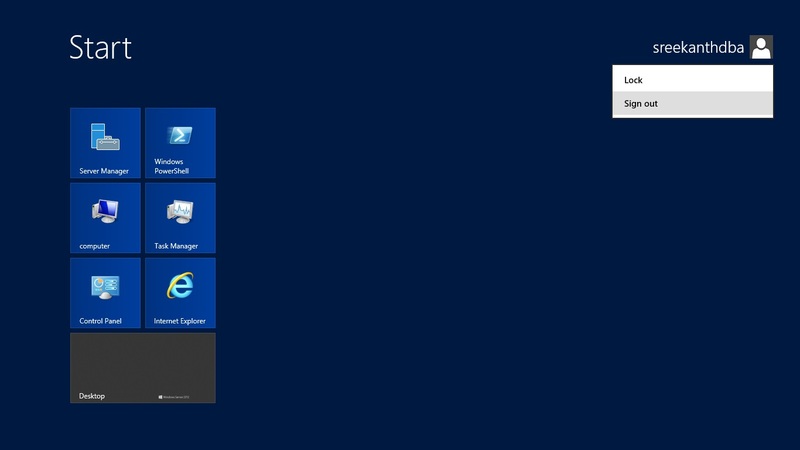 Complete fail by Microsoft – would it be so hard to have a logoff/shutdown button on the Start screen? Btw, If you want start button on your current Windows 8 laptop/PC consider Installing POKKI start button for now. It’s free and an awesome substitute! Thank You very much. It’s not fun when you are in an RDP session and you can’t logout. My only option was to reboot server. Have a great weekend! Thanks! this is very helpful!! Really helpful. Thank you so much for sharing. I am in the Office 365 migration process. 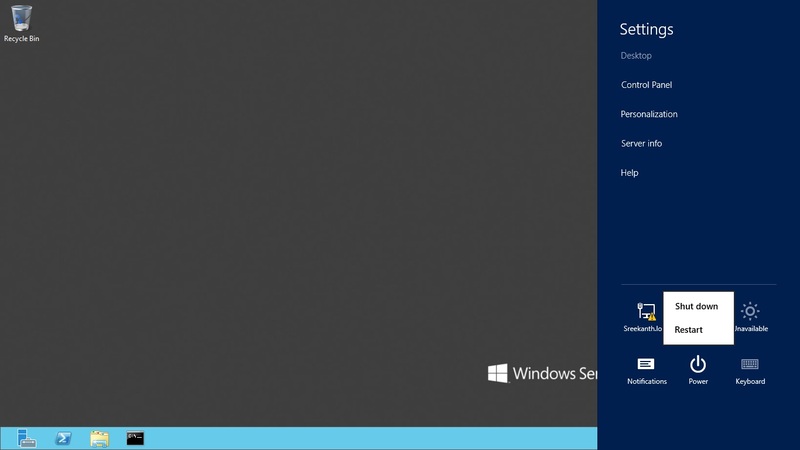 Client use Windows Server 2012. It was hard to find where to log off. 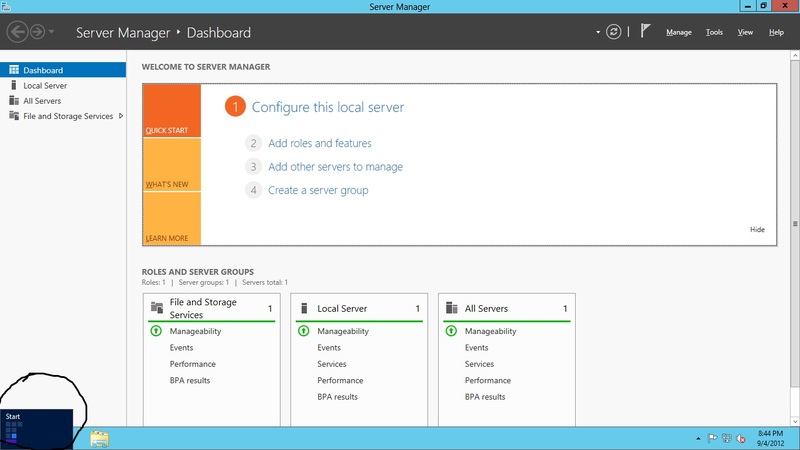 Having never used Server 2012…this is exactly what I needed. Thank you for posting this! LOL, I’m not the only one who googled for this. Took me a while to figure it out. Though 3 of my machines at home are with Windows 8.1 with Start8 button but it took me few mins to figure it out. Really it was embracing searching out in front of Oracle DBA how to logoff from my first ever Win2012 Server built by Server Team. I just created a shortcut on my desktop (batch file) to logoff. Thanks Sreekanth for your valuable tip. Thankyou, I’ve been support windows for 20yrs and this was a mystery to me! I’m now quitting frindship. Adios Microsoft. I’m no longer selling this peaces of sh** to my clients. Hey…There are lot of improvements in Windows Server 2012 which are amazing IMO, you should explore them before yelling at MSFT for hiding Logout. It’s ridicolous. Microsoft, are you serious? What were thinking your engineers when they thought about hiding logoff button on a server? Just compare Linux/OSX CLI and this uggly Powershell. It’s endless spaghetti coding and often unintuitive. the “logout” button gets useless, but why changing classical processes. I have no clue what possessed someone at Microsoft to create the Windows 2012 graphical GUI interface, but the individual(s) should be taken out for remedial server training. But I faced it full-face tonight. I had to bounce through a local machine via RDP to ensure I didn’t VPN my existing sessions, then had to build a 2012 server. All went well, even patching, and the hardest part, simply logging off cleanly from a 2012 Hyper-V server within a 2012 within an RDP. The standard “Go to the bottom left, then click the “pseudo Start menu” to get my name, from which I could log off, failed, because of the multiple horizontal and vertical scrolling needed toi get to the upper right corner. And unlike WIn8, no Windows X to get the text list. Server Admins are pissed Microsoft – you’ve delivered a lemon – please fix it. Thank you (rant over with :). Thanks alot….Annoying when you have to break your concentration for its intended purpose just to find the door out…..What if there was a proverbial fire???? M$ assumes you are managing servers with PS commands or remote tools and using Server Core as much as possible. They think Server GUI’s are so 2008. Microsoft: Dullard “un-innovation” by over excited 16 year old staffers = our operational pain. Thank you. I don’t know why they make it so hard. The GUI change was just change for change sake. Marketers think that change is always good with no exceptions. MS = Meh. Agree that Metro interface annoys a bit on Servers, but blaming the OS just for one hidden button is not correct IMHO. If you look at the entire picture, the OS itself is very stable and robust when you compare with previous versions of windows. It has got lot of brand new features and enhancements which makes more complex tasks very easy to administer. @sreekanth I’m glad you like it. Personally I think it stinks. I can’t even find properties any more without going around the houses. Office 2007 with it’s ‘fluent tool ribbon’ was bad but this is so much worse. Thank you, this page was useful! Why do they waste peoples time like this? Do they think we have nothing better to do? Just rightclick start button… Tada! Thanks guys! Thanks Thierry even more.. Who would of thought? A server with the not even friendly GUI of Win8. who is the imbecile who design this UI???!! !